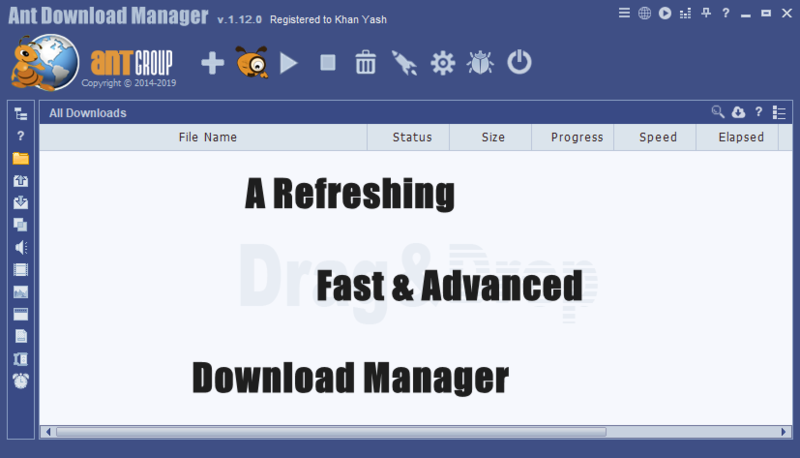 I am using Ant Download Manager (AntDM) Pro for a few days now. I am impressed with its capabilities, stability and development. The support is good too. The developer is helpful and friendly. These are the reasons, I joined the forum, shared my experience of AntDM with the developer, and talked about a giveaway, and did the translation of AntDM in Hindi (India) language. I would like to thank Mr. Andrey, and AntGROUP Team for sponsoring the licenses for this giveaway. Ant Download Manager Pro is a fast downloader of any internet files with the advanced function of capturing and downloading audio and video content from many popular video sharing websites. Browser Integration , MP3 , Video Grabber , Loading Different Types of Video Files , File Categories , Download Speed Acceleration , Download Categories , Download Resume , Multiple File Download , User Downloading , Preview Media Files , Drag & Drop , List View , Scheduler , History , Automation , Protocol , Proxy , Checksum , Storing Passwords , Generators Premium Links , Multilingual , Quick Update , Portability. Optional/recommend: Share the giveaway on social media, forums, blogs, and other places. You guys know the rules... one entry only, and do not post anything other than your participation. The winners should PM me within 3 days of the result announcement to claim the win. Konkurs kończy się 14 kwietnia. Ant Download Manager is a great piece of software. Especially for its flexibility and different utilities for downloading files and videos from the net. Ant Download Manager has come a long way since it came out. When compared to other products on the market, such as the well established DAP, Ant Download Manager seems to be doing well. Very light on system resources, easy to use, fast, and non intrusive, i would highly recommend Ant Download Manager to anyone. Thank you for this opportunity to win this excellent product.